It's summer, which means Floridians and vacationers alike are looking for ways to escape the heat. Luckily, Florida's beaches are full of fun activities to keep you entertained, and with options available for kids and adults of all ages, you won't have to worry about overheating with the ocean right at your feet. Check out these seven fun Florida summer activities, whether you are visiting for vacation or simply looking for something exciting to do next weekend. 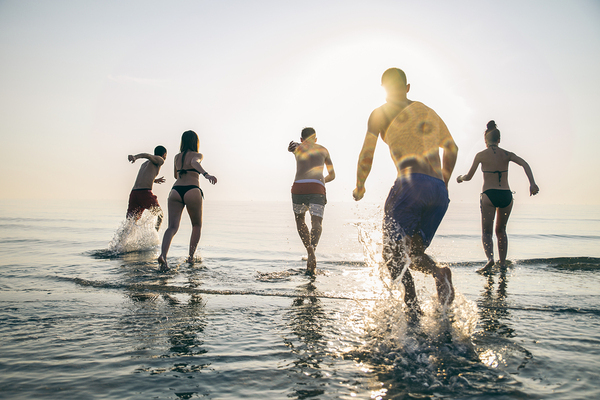 Grab your friends and head to the coast for some Florida fun. May through October is Sea Turtle season here in Florida. Throughout the summer you can join a Turtle Walk at various state parks along the Florida coastline like Friends of the Carr Refuge in Vero Beach and Sea Turtle Preservation Society in Indialantic . These after dark walks allow you to observe mother loggerhead, green and leatherback sea turtles nesting and laying eggs on the beach. This is a truly unique experience for all ages. For more locations and tips check out VisitFlorida.com. Ocean kayaking can be an invigorating way to get up close and personal with the waves, while still staying active. Many Florida beaches offer up kayaks for rent, and most will give you basic instruction and guidance if you're new to it. With a number of inlets and the Intracoastal Waterway available, there are plenty of areas of calm and quiet that can make for a serene kayak ride. Paddleboarding has become popular over recent years, and Florida is a great place to test your balance. As with kayaks, there are many beaches that offer paddleboards for rent and instruction for use. Whether on the flat waters of the Gulf or in an inlet off of the Atlantic, there are plenty of areas for even those new to paddleboarding to give it a shot. What's the worst that can happen? You fall into the water and cool down! Looking for a little more action? Try kitesurfing, one of the most exciting -- and challenging -- water sports available. You stand on a board, and use a massive kite to literally get your power from the wind. It requires strength and isn't for the faint of heart, but watching others do it from the safety of the sand can be an equally thrilling experience. If you do give it a shot, be sure to keep the land in sight -- in 2014, a team of kiteboarders traveled across the Atlantic Ocean! All you need for a volleyball game is a ball and some bodies. Channel your inner Olympian with some beach volleyball -- one of Florida's favorite beach activities. Quite a few of Florida's public beaches have their own courts that you can use, but all you really need is a group of friends and a ball to get an impromptu -- and entertaining -- game going. 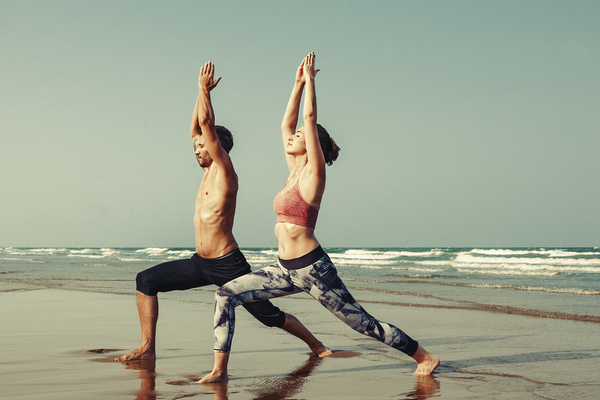 Beach yoga has become popular in recent years, as the setting of the waves and sand help connect practitioners with the meditative qualities of nature. See if there is a class available (pro tip: they're usually held in the early mornings or evenings to avoid the hottest part of the day), or just take a break from the surf on your towel with some sun salutations. Prefer things quieter? Beach yoga is popular for good reason. The best thing about a beach in the middle of a Florida summer? Staying cool in the surf. Whether you want to practice laps, have a handstand competition, or just float peacefully, there are endless water activities that will keep you comfortable. Looking to make these summer activities last year round by opening a new business in Florida? Seacoast Bank offers business banking products and solutions to make your dream a reality. Contact us today to learn more about our business banking services.